Gulf front condominium with breathtaking & unobstructed views of the Gulf of Mexico. 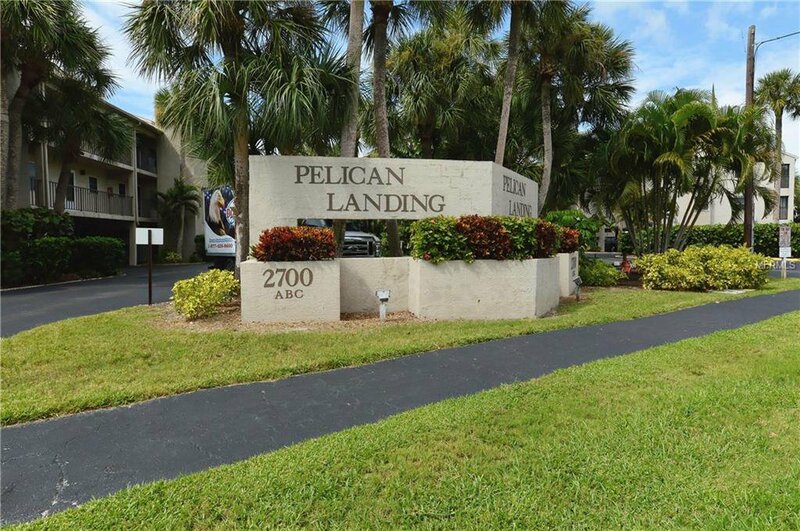 Located in the Pelican Landing condominium complex on beautiful Manasota Key. This open floor plan condominium has 2 bedroom and 2 bathrooms. It also comes turn key and ready for immediate use. The kitchen and bathrooms have been updated with new cabinets and counter tops. There are tile floors through the main living area, bathrooms, and lanai, with carpet in both bedrooms. Pelican Landing is a beach to bay community giving you access to Lemon Bay and the Gulf of Mexico for both your fishing and boating pleasure in addition to 300 ft. of private beach. The complex offers a host of amenities including a gulf front heated pool and spa, tennis court, club house, boat docks, under building parking, elevators in every building, and lots of green space. There is plenty of shopping and dinning in the area along with a dozen + golf courses within a twenty minute drive. Come check out our little slice of paradise and you will never want to leave.